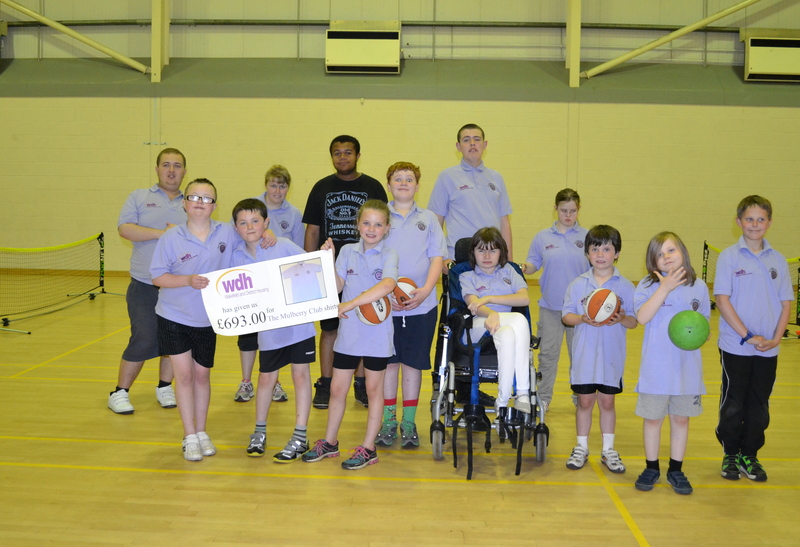 A multi-skills sports club for young people with additional learning and physical needs has been given a helping hand with a WDH Community Grant of £693. The Mulberry Club, based at Havercroft Sports Centre, Ryhill, have used the grant to purchase fifty polo shirts for the club. Established in 2007, the activities offered by the group help keep the young members fit and healthy while also boosting their social skills. 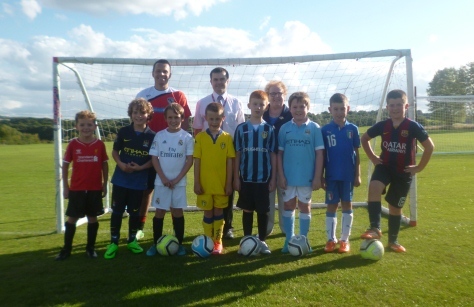 The WDH community grant has been vital for the club as they rely solely on the generous donations from people and businesses. 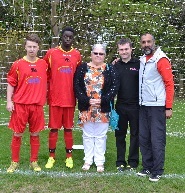 Gail Tombs, Group Co-Ordinator and founder of the club, has said that without the WDH Community Grant the club would have been unable to afford polo shirts for its members. Jane Gwilliam, WDH’s Tenant Involvement Officer, presented the cheque to the club. Jane said: “The Mulberry Club is an important part of the local community and is an important factor in the wellbeing of local young people with physical and learning difficulties across the area. The group meets every Monday evening at Havercroft Sports and Social Club. There are two separate sessions for 7 to 11 year olds, and for 12 years to late teens.